About the free book PDF – lean-ISD – here. 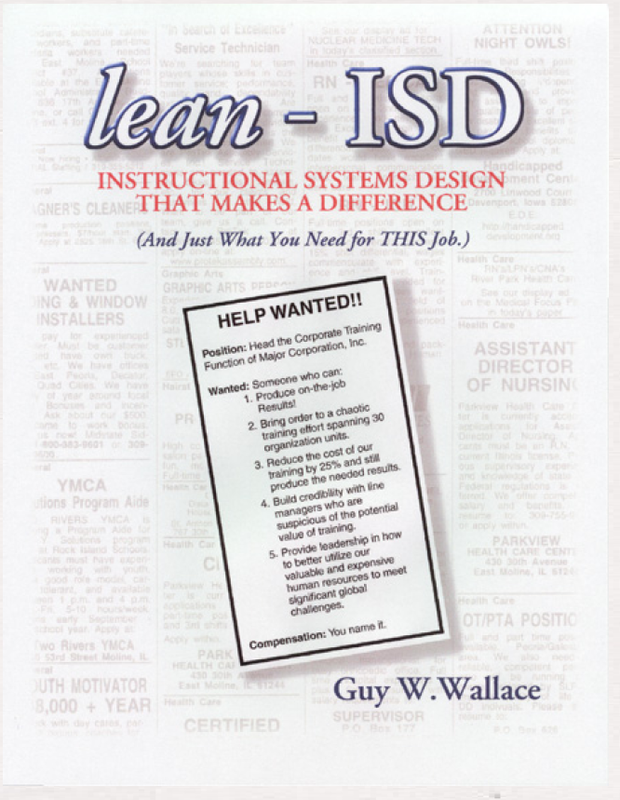 I wrote this book over a long period, 1983 until 1999, and I did it to explain how to achieve lean–ISD using what I started calling the PACT Processes for T&D in the late 1980s. lean–ISD is a way to design and develop T&D, an approach with similarities to lean manufacturing. 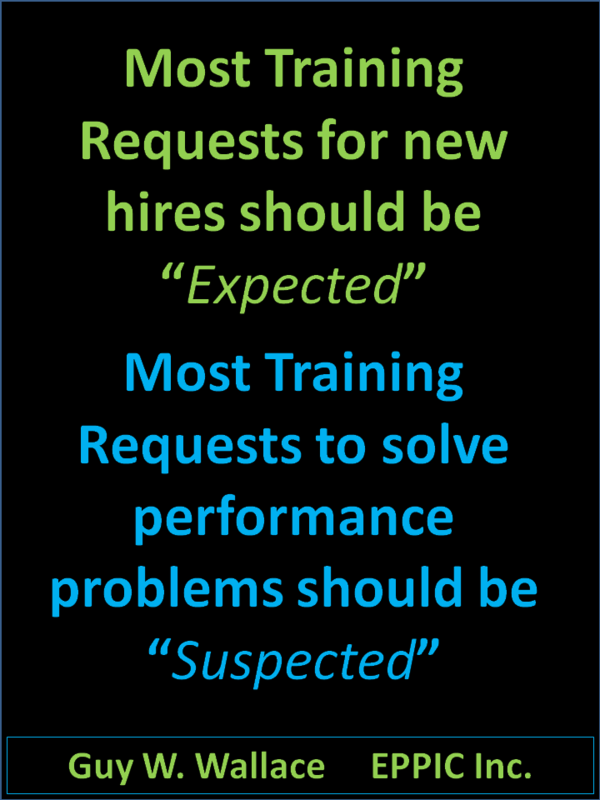 PACT is an acronym that stands for Performance-based, Accelerated, Customer-/Stakeholder-driven Training & Development. 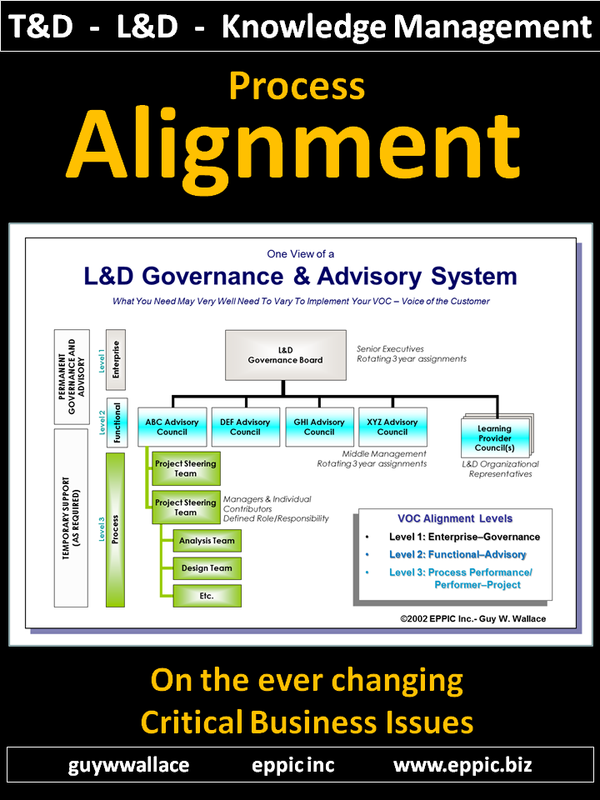 One way to re-engineer the ISD function is along the lines of lean-ISD. The concept of lean comes from the early 1990s MIT study of U.S. and Japanese automobile manufacturers. This study is documented in the book The Machine That Changed the World by James P. Womack, Daniel T. Jones, and Daniel Roos. Lean production (a term coined by MIT research team member John Krafcik) describes an efficient approach that combines the best of both craft production and mass production. Lean production employs teams of multiskilled workers at all levels of the organization and uses highly flexible, increasingly automated tools to produce volumes of varied products. Lean production requires teamwork, structured yet flexible processes, communications, and continuous improvement. 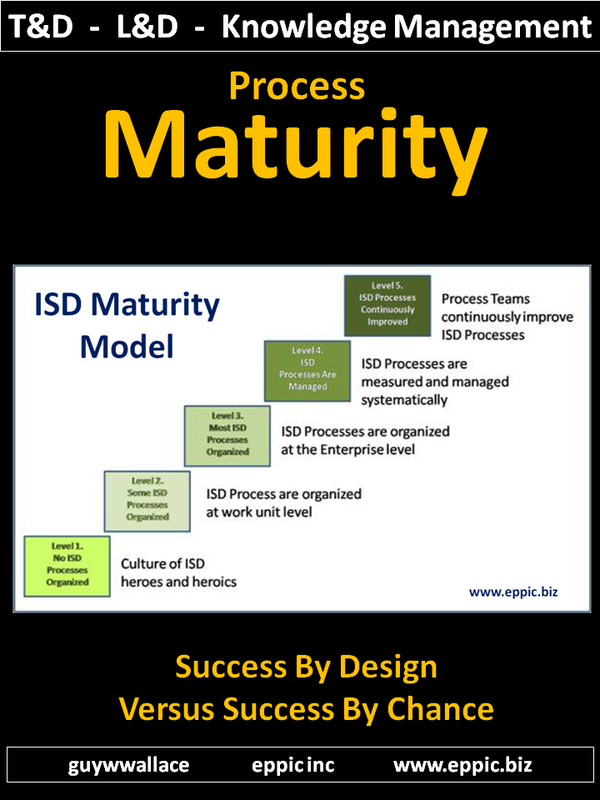 The application of lean to the world of ISD can create a set of common, effective, and efficient processes. The processes span T&D project planning and management, analysis, design, development, pilot-test deployment, and evaluation. The PACT Processes for T&D share many of the characteristics of lean production, as you’ll see in this book. 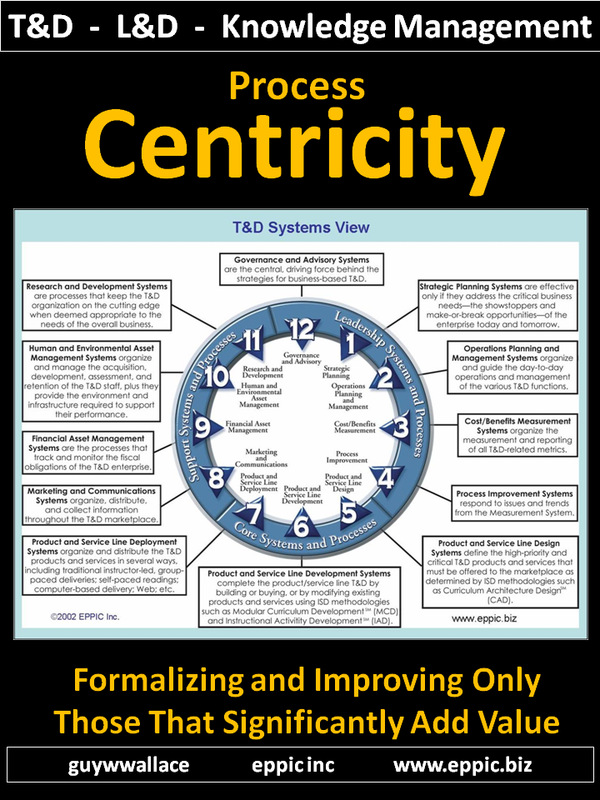 The practice of lean-ISD is embodied in the PACT Processes for T&D. Furthermore, the overall PACT Process approach to ISD borrows concepts, precepts, tools, and techniques from the worlds of product management, financial management, and the quality and human performance technology movements. The PACT Processes cover ISD end to end and are practical in nature, not theoretical. The processes use a highly structured, multiteam approach, and standard tools and templates. 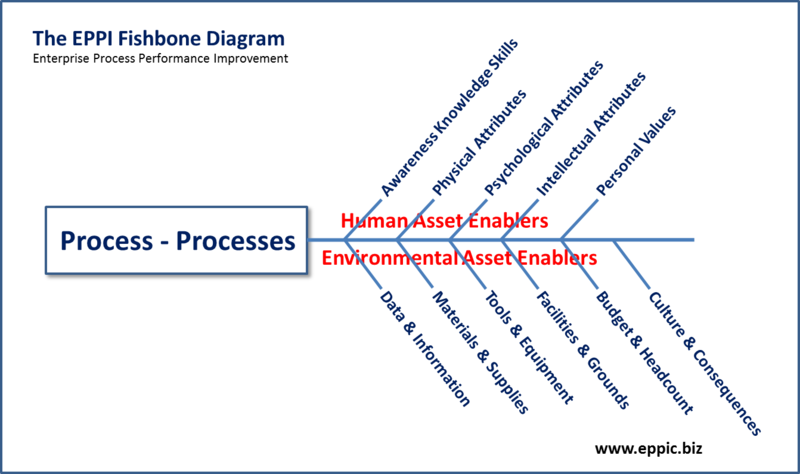 The approach reduces cycle time and enhances the quality and effectiveness of T&D. A “pact” is also an agreement or a bargain. Implicit in the PACT Processes is an effective collaboration between ISD suppliers and ISD customers to ensure the instructional integrity of the T&D. Using PACT, suppliers and customers focus from the start on appropriate performance and content. The pact between the ISD suppliers and ISD customers is embodied in a detailed Project Plan—the agreement—that the training suppliers create with their customers and stakeholders. This figure shows the relationship among the processes. All of the PACT Processes share the major characteristics from which the PACT name is derived: performance-based, accelerated, and customer-/stakeholder-driven. 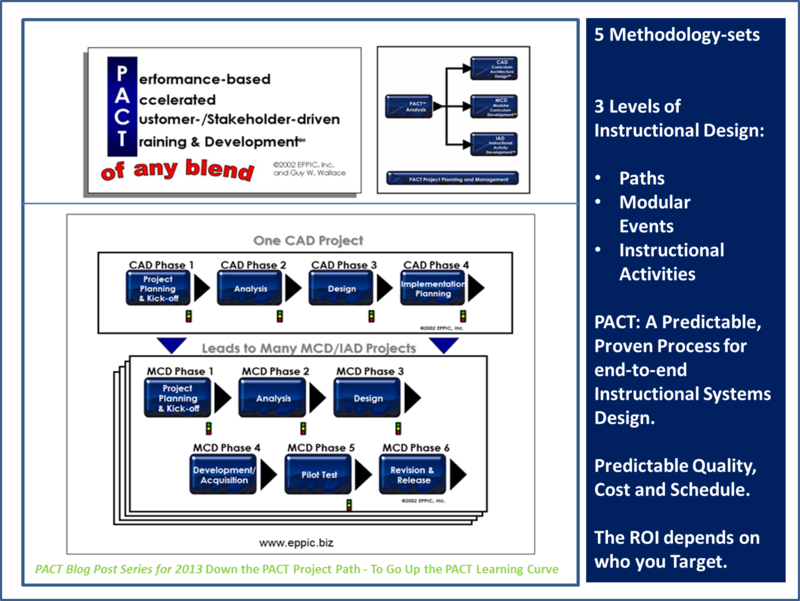 All five components of the PACT Processes for T&D link together to create a very powerful, lean approach to ISD. 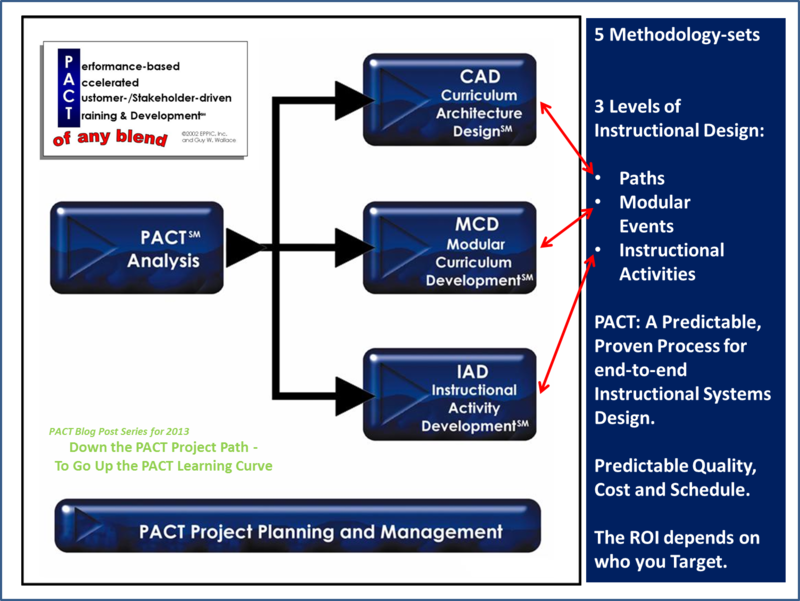 The three levels of PACT ISD—Curriculum Architecture Design, Modular Curriculum Development, and Instructional Activity Development—allow the T&D supplier to work with the T&D customer at a level appropriate to the needs and constraints of the customer. For example, Curriculum Architecture Design is the macrolevel process. It produces an analysis and design of an entire T&D product line, an entire curriculum. Instructional Activity Development is the microlevel process. It’s an expedient process for the analysis, design, and development of instructional activities—performance tests, for example. We have developed five PACT Processes that address core areas of ISD. 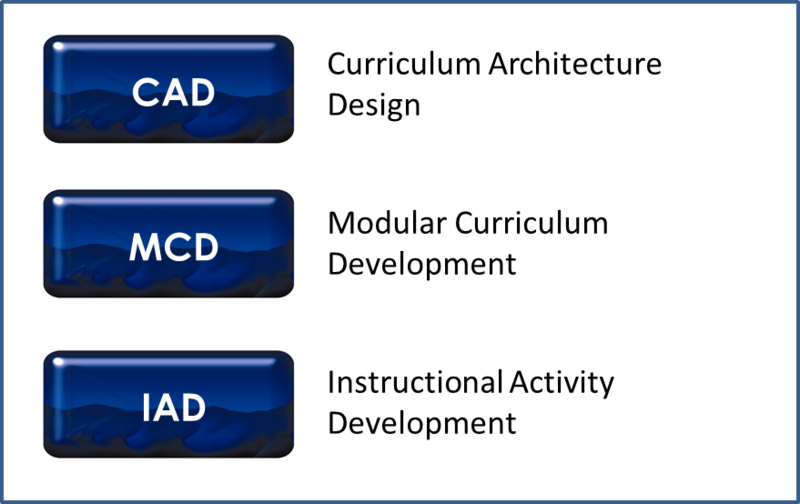 Curriculum Architecture DesignSM (CAD) is a process for designing an overall architecture of performance-based T&D components to serve target audiences. Modular Curriculum DevelopmentSM (MCD) is a process for building performance-based T&D Events (workshops, Web readings, CBT, etc.). Instructional Activity DevelopmentSM (IAD) is a process for developing smaller pieces of T&D Events, pieces such as performance aids that do not really qualify as full T&D Events. PACT Analysis is a process for gathering the necessary information about the audience, performance, and work environment so that effective, performance-based T&D can be designed and developed. PACT Project Planning and Management is the process for planning, organizing, and controlling the other PACT Processes. Geary created this cover, back in 1999, not liking the one I had originally intended, that was in his review copy. “If you want to ground your fantasy of a ‘corporate university’ with the reality of a sound ‘engineering’ approach to instructional systems that will provide results, you should learn about the PACT Processes. This book is for those who know that T&D means training and development. It’s for those who know that ISD means either instructional systems development or instructional systems design. It’s for those who want to improve ISD processes to improve T&D products. For readers who simply want an overview of lean–ISD and the PACT Processes, the first section of the book covers those topics at a general level. Readers looking for more information can proceed to subsequent sections, where each process is treated in much more detail. In addition, the PACT Processes focus on high-payoff T&D by using input from customers and priorities set by T&D stakeholders to make sure that only worthwhile T&D is designed and developed. That book and a couple of others – were reconfigured into this 6 Pack on PACT and EPPI – in 2011. Click on the graphic to link to more info. 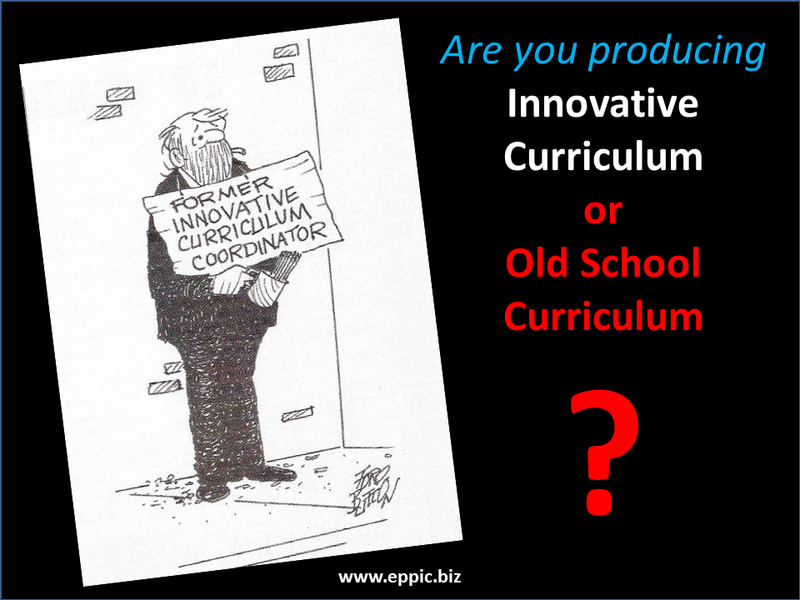 Manager of Curriculum Design and Development Bandag, Inc.
lean-ISD takes all of the theory, books, courses and psuedo job-aids that are currently on the market about Instructional Systems Design and blows them out of the water. Previous “systems” approach books showed a lot of big boxes and diagrams which were to supposedly help the reader become proficient in the design process. Here is a book that actually includes all of the information that fell through the cracks of other ISD training materials and shows you the way to actually get from one step to another. Guy adds all of the caveats and tips he has learned in over twenty years of ISD practice and sprinkles them as job aids and stories throughout the book. However, the most critical part of the book for me was that Guy included the project and people management elements of ISD in the book. Too often ISD models and materials forget that we are working with real people in getting the work done. This book helps explain and illustrate best practices in ensuring success in ISD projects. “I’ve found lean-ISD to be a very useful reference tool and resource. After having been involved with Guy Wallace on a large-scale application of the methodology at my last firm, I’ve taken on several recent projects in my new company using many of the methods, tools and templates of the PACT Processes for Training & Development. The book is designed so that I was quickly able to access the information I needed to provide my clients practical, timely and quality approaches to tackling their business issues. 3 Example Stakeholder Hierarchies - One Size Does Not Fit All - Which Fits You?